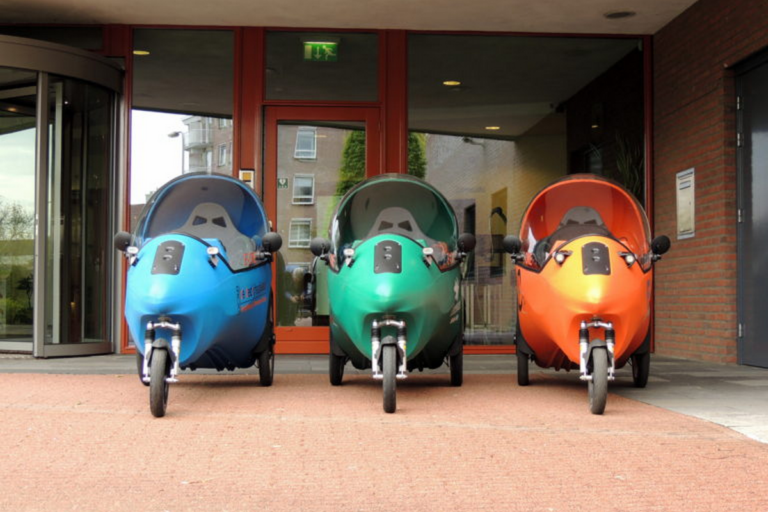 The LEF® is an innovative full electric vehicle (no bicycle!) especially developed to travel from A to B in a economical and sustainable way. 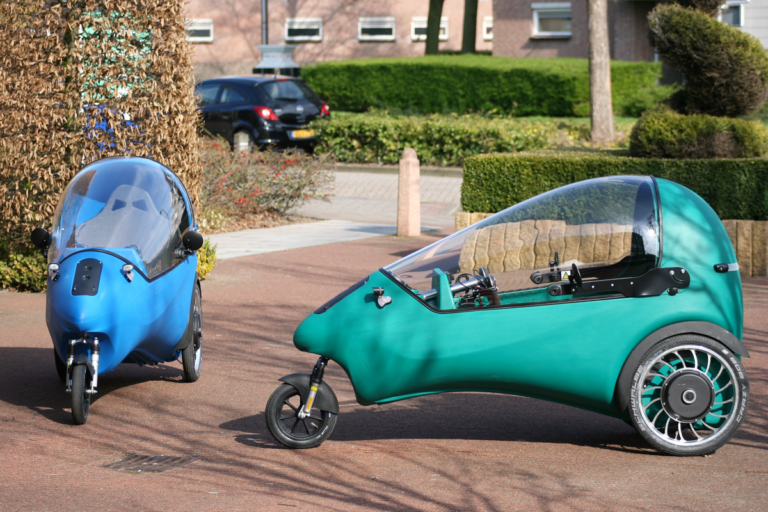 The vehicle is developed in the Netherlands and is build from recyclable materials. 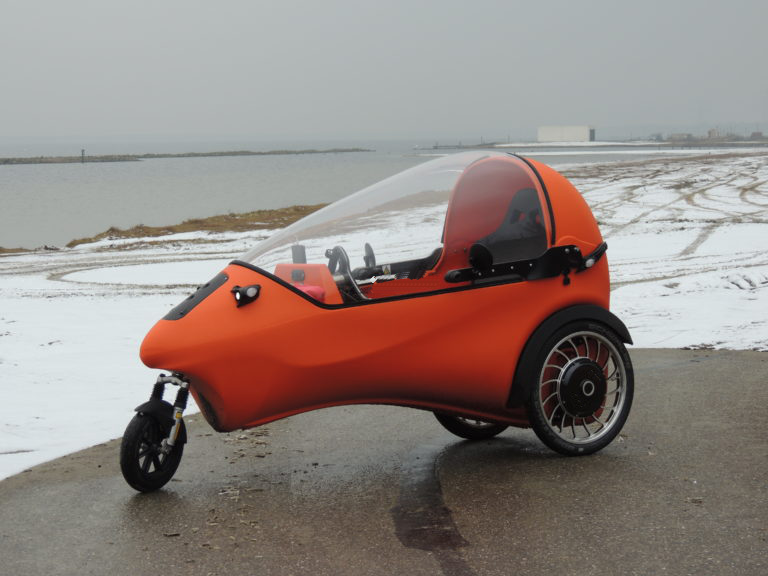 The LEF® is powered by a 1 KW electric motor in the right rear wheel. The electric motor is powered from a powerfull LiFePo battery package. The charger for the battery is built-in so recharging en route (using a standard wall outlet) is no problem. In the LEF® you will find a luxurious seat, an adjustable steering wheel with switches for direction indicators, cruise-control, horn and a regenerative break (with which power is recovered during braking). On the steering wheel you will also find a throttle lever and a hydraulic brake lever. The display will provide you with information about travelled distance, an ODO meter, battery status, average speed etc.. The vehicle also features a key-contact switch, a selector switch for the battery-packs and a fan to keep the screen clear of condensation. You have a choice between a 10Ah battery, a 20Ah battery or both (providing you with 30Ah). A respective range of 30, 60 to 90 kilometers is provided with a maximum speed of 25 km/h. Typically you will drive your LEF® on bicycle paths or on municipal roads. Your LEF® is available in the colors red, dark blue, dark green, orange and light grey. You can customize or expand your LEF® with different options such as a larger battery-pack, sunshade, solar-smart parking box, luggage bag, advertising (for instance for companies), USB charger, telephone holder etc. 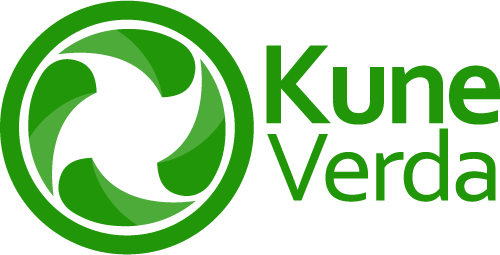 Wheels 2 x 20", 1 x 12"
"For only € 0.0035/km commuting to your work"